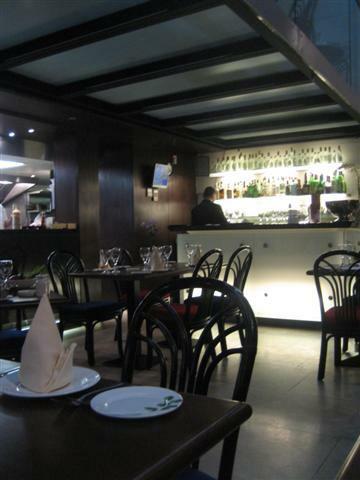 Randa is part of the Maroush chain of Lebanese restaurants. This restaurant has a spiral staircase which leads to the upper level. A selection of mezza made up our meal. I like having mezza as it means that you get to taste lots of different dishes. 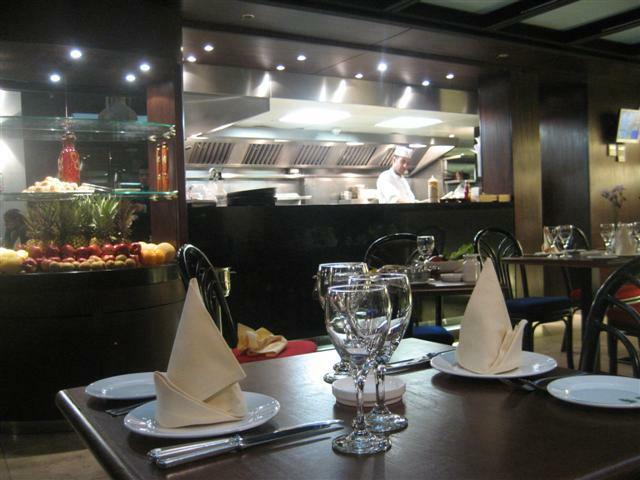 The only thing is that it took us a little while to decide which dishes to choose as Randa has an extensive menu. For the cold mezza, we had the Hommos Beiruty and Moussaka. This variety of hommos had the addition of parsley and hot pepper, so it was a nice twist on the classic hommos. The Moussaka was a fairly big dish made of fried aubergines, chickpeas, tomatoes and onions. It was like a chunky thick stew. The hot dish was Batata Harra and Fried Vegetables. This was a dry dish which consisted of cubes of sauteed potatoes with garlic, pepper, coriander and chilli. It was slightly spicy and all the flavours worked well together. It reminded us an Indian potato dry curry. The savoury pastries sounded interesting, so we ordered the Manakeesh, which was a pastry topped with sesame seeds and thyme. Unfortunately, the waiter informed us that they did not have any left. So instead, we had another baked pastry, Fatayer B’sabanekh. We enjoyed this as it wasn’t greasy and the filling of spinach and onions was good. We were served with warm round pitta breads. Just what we needed to go with our selection of food. We were also given a big bowl of chunky salad vegetables and olives. At the end of the meal, we were served with a selection of baklavas. These were perfect to satisfy my sweet tooth. Randa does a range of fresh juices and teas. The fresh mint tea was served by the pot and came with a little red cup. 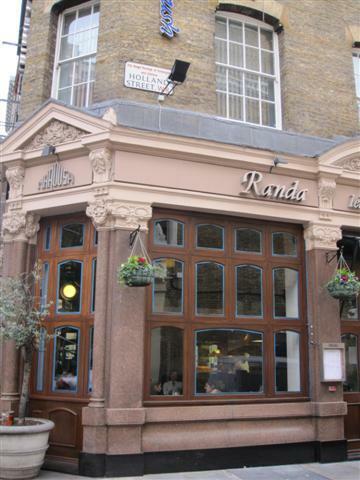 Randa has a high standard of food and service. The staff were friendly and helpful with their suggestions. The displays of fresh fruit made a colourful attractive addition to the decor. Previous Post Pizza Express Makeover!